Infosys Ltd has invested $4 million (Rs 26.8 crore) in Israel-based cloud monitoring solutions startup Cloudyn Software Ltd, as India's second-largest software services firm continues to bet on companies working on new technologies. 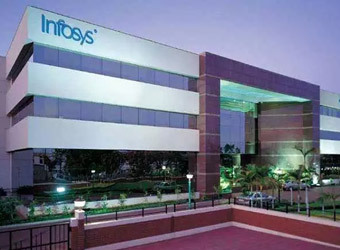 The transaction will be completed this month, Infosys said in a stock-exchange filing on Wednesday. The company will get an undisclosed minority stake in Cloudyn. The investment is part of Cloudyn's Series B funding round, Infosys said. Cloudyn had raised $11 million in a Series B funding round led by Carmel Ventures, Titanium Investments and RDSeed (a collaboration of Rafael and Elron Electronics) in December 2015. It is not clear whether the investment by Infosys is part of an extended Series B round. E-mails sent to Cloudyn in this regard did not elicit a response at the time of filing this report. Cloudyn, which was founded in 2011, enables enterprises to monitor and optimise hybrid cloud deployment by providing insights derived from operational and financial metrics. Bangalore-based Infosys is actively scouting for companies working on innovative technologies as its traditional software outsourcing business comes under pressure. Under CEO Vishal Sikka's new growth strategy, Infosys has made several startup investments over the past year. The company has earmarked a $500 million innovation fund for investments in disruptive new technologies on automation, Internet of Things (IoT) and artificial intelligence. The investment in Cloudyn is the second deal for Infosys in an Israeli startup in the past seven months; the Indian company had invested $4 million in CloudEndure, which provides cloud migration and cloud-based disaster recovery software, in December last year. In April this year, Infosys invested an undisclosed amount in San Francisco-based data visualisation startup Trifacta Inc. In January, Infosys picked up a minority stake in Delaware-based big data startup Waterline Data Science Inc. In December, Infosys invested $3 million in WHOOP Inc, a US-based startup that offers performance optimisation solutions for professional athletes and sports teams. The Indian company has also made larger investments in overseas companies in the recent past. Last year, it acquired US-based Noah Consulting LLC for $70 million and US-based m-commerce enabler Kallidus Inc for $120 million. In February last year, Infosys inked a $200 million deal to buy US-based automation technology firm Panaya Inc.